time: start – 09:00 a.m.; finish – 5:45 p.m. Campsite: on RL, the only flat spot we could find for a 4-person tent!! 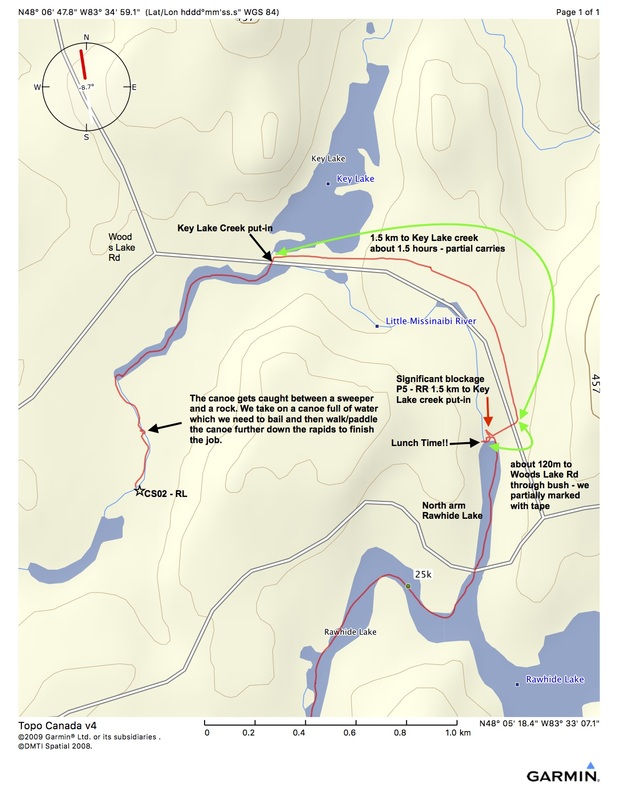 Suggest camping near Key Lake and road. Day 3 will be tough! Did not see anything the next day close to where we stopped. It rained on and off overnight with at least four separate downpours, a couple of them fairly heavy. Given how the tarp amplifies the noise it may not have been that bad. Still – if the day’s 60% chance of rain is going to happen, what better time than while we are sleeping, especially if it means a day of dry paddling! We set off at about 9:00, looking back at the “road” and the beaver dam in the above image. 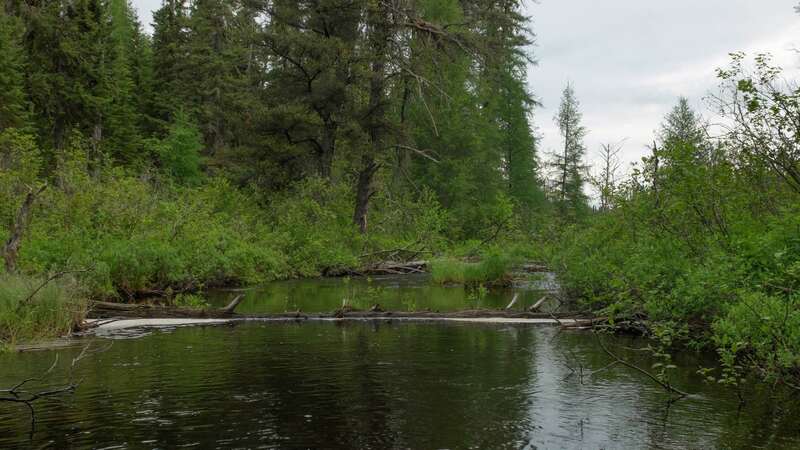 The first hour featured deadfall and more beaver dams across the river and the grey sky had a smidgen of blue. The terrain would continue to be of the marsh/wetlands sort until we got to Rawhide Lake. We did line down or portage around a couple of small sets of rapids. The following pix show the river in the morning stretch we did. 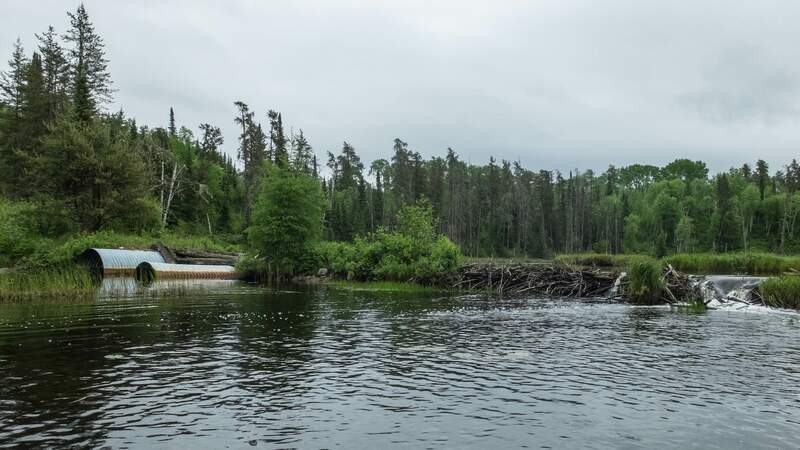 The 1st of many beaver dams on the Little Missinaibi below Ramhill Lake – note red magic carpet! When we got to Rawhide Lake, we paddled down to the north end where it reverts back to narrow river channel. After contemplating the severe logjam blocking further progress and looking for some possible way around it, we decided a lunch break was in order. It was about 1 p.m. – definitely time to refuel before we dealt with the clogged river ahead. Lunch done we paddled over to the logjam again. As far as we could see it was a jumble of weathered logs blocking the river. We did bushwhack our way on river right back to the river about 100 meters below the blockage to get a look at the situation. It was difficult going and we knew that we would not be carrying our gear and canoe this way. Below the rapids were more deadfall and sweepers making an easy descent unlikely. However, there was a solution! 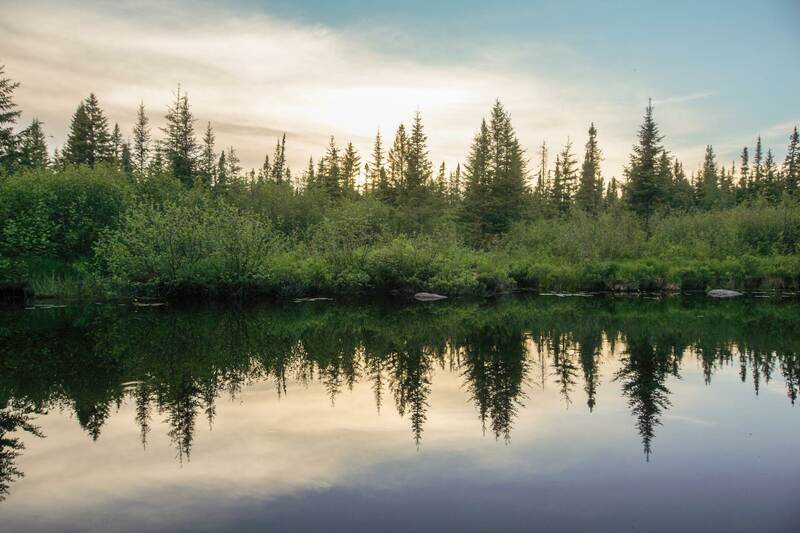 After a 120-meter portage from Rawhide Lake up to the maintained gravel road, we could walk the canoe and gear along until we found a spot where we could get back down to the river. 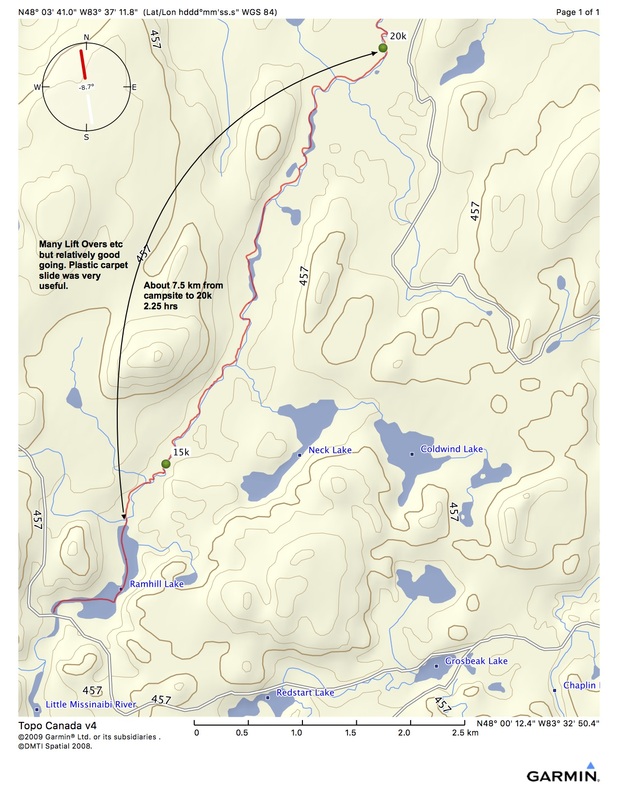 The Garmin topo maps we were working from had us thinking that a 400 meter or so walk along the road would do the trick. However, as the GPS track shows, the road really does not get close to the river until it crosses the creek out of Key Lake. 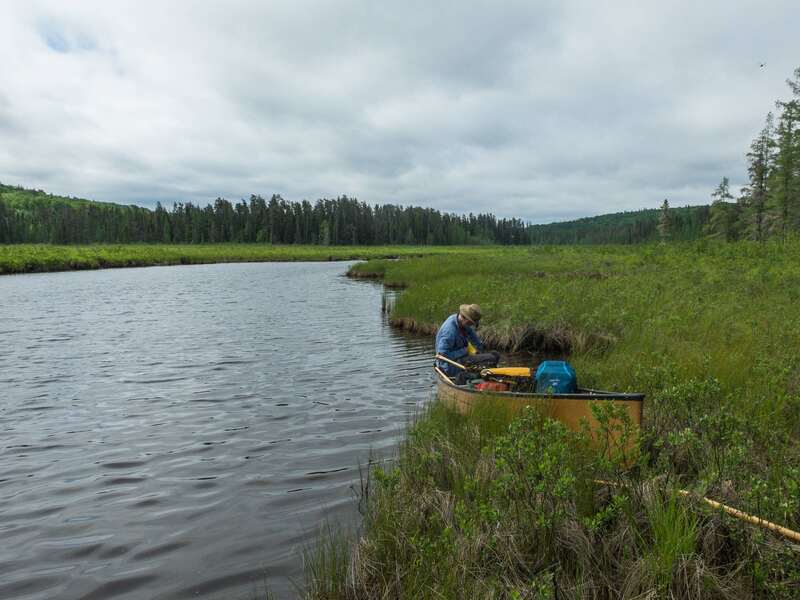 So – over the next two hours we ended up with a portage of 1.5 kilometers before we had our canoe back in the water! And then – a photographic blank from 2:30 to 5:45 as we took no pix from the time we got to the road to the time we had set up our campsite further down on the Little Missinaibi. We had clearly switched into our full-out “gittin’ ‘er dun” mode and were too preoccupied to stop for photo-ops! Once on the river again at Key Lake Creek, it was back to small sets of rapids, occasional clear and open stretches of easy paddling, and then more short blockages and sweepers as made our way. 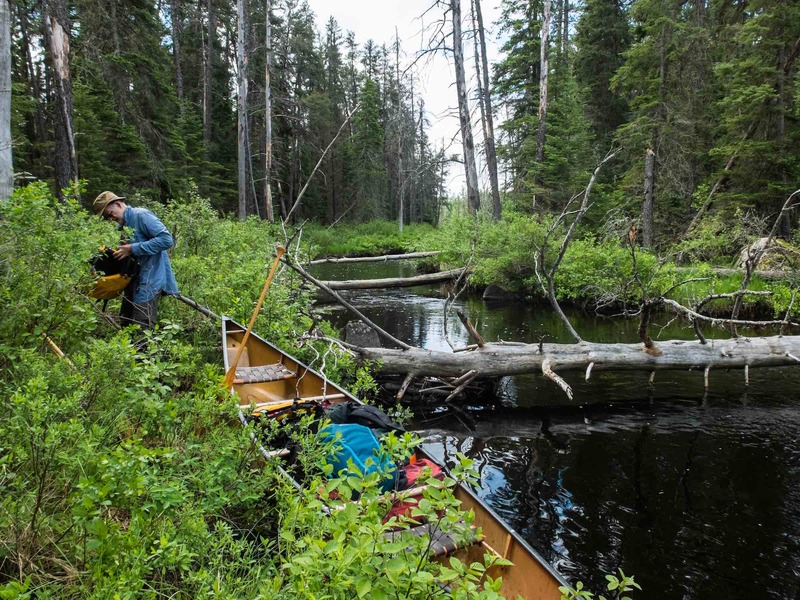 We did have one mishap as we were lining the loaded canoe down an awkward stretch with some badly placed boulders and logs. The river here was no more than three feet deep. Thanks to a sweeper reaching almost right across the river, the nose of the canoe got caught and leaned ever so slightly back into the strong current. That was enough to fill it with water in about a second! It was also the beginning of a mad fifteen-minute session of bailing most of the water out, Max using the bailer and I used my Tilley hat. We needed to lighten the canoe so we could maneuver further downstream and to the shore to bail out the rest of the water we had taken on. 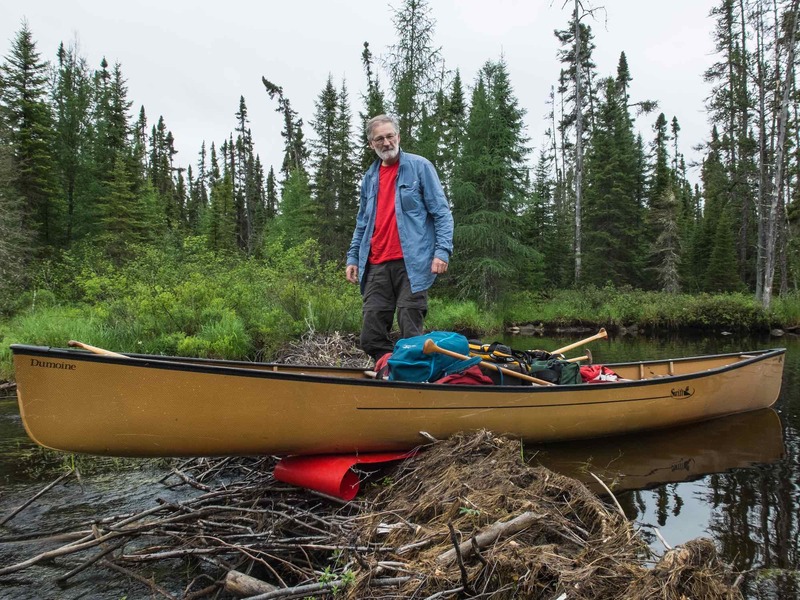 We then paddled down and picked up a few things that had floated down to the bottom of the rapids when the water swamped the canoe – a spare paddle, my floating camera bag, and a life jacket. The other stuff was in the canoe but wet, including the duffel bag with our Spot Connect attached to it. As we got everything back together we did notice that the Spot had gone dead – no lights at all. We would take a closer look at it when we found our campsite. 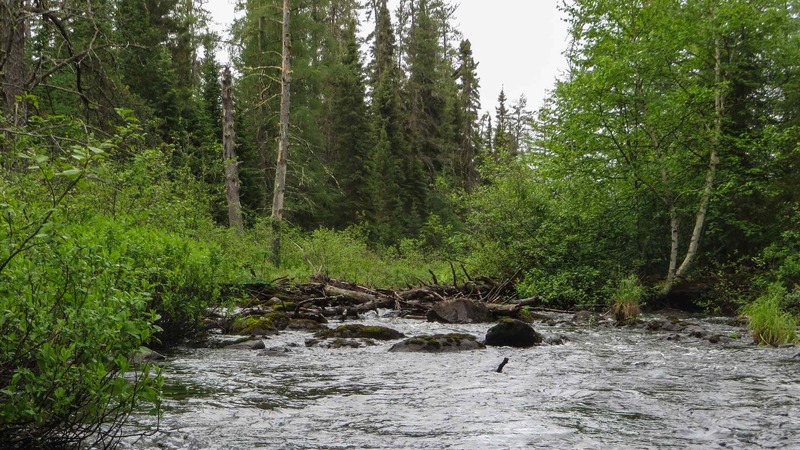 It was amazingly the only decent space we would see between the road at Key Lake Creek and one a few kilometers down river that we saw the next day. Up went the tent and then I opened up the dead Spot, noticing some moisture on the inside as I did so. That would explain why it was no longer working. 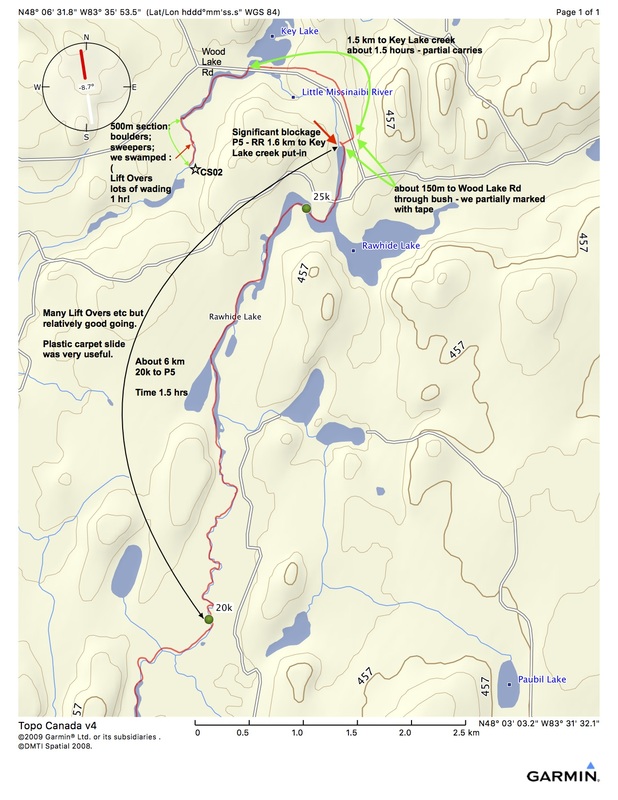 It had been clipped to the top of that red North Face Basecamp duffel – as it has been for almost every canoe trip described in this blog! It had been subjected to a powerful initial gush of water and then more minutes of underwater exposure as we dealt with our canoe full of water. I checked the Spot manual later and saw that it had a IPX7 water rating (Waterproof: Up to a depth of 1 meter for up to 30 minutes). 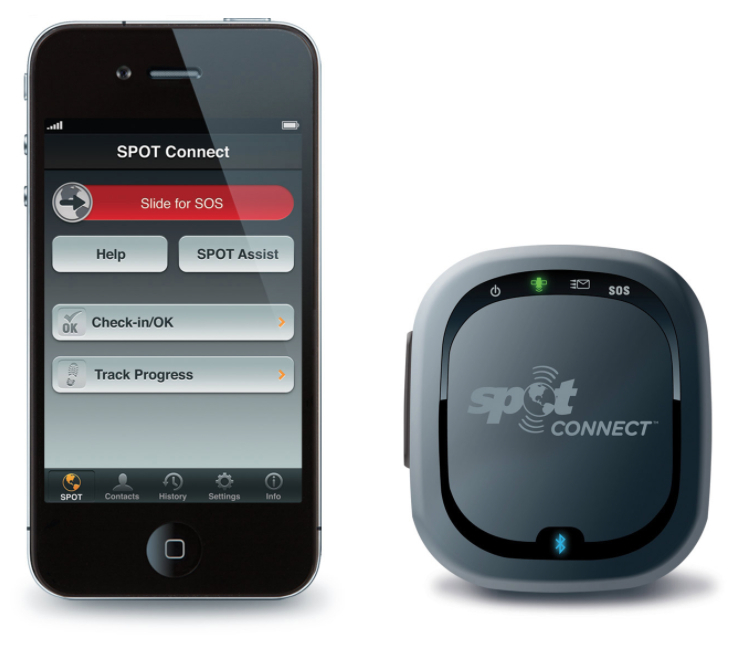 Note: The Spot Connect is a GPS tracker and emergency SOS device which, when paired with a smartphone via Bluetooth also allows messaging to pre-set email addresses. Once every ten minutes when it is on a location signal is transmitted via satellite to an internet server whose website is accessible to any who have been given the URL. That way the folks at home can follow along in real time. As well as the device itself, an annual renewal of the satellite service (about $200.) is required. During the day it tracks our progress; we also use it to send an email message (45-character maximum!) at the end of the day. In a real emergency, the SOS button is there. It requires the removal of a cap covering the inner button to ensure that it is not pushed accidentally. One weakness of the device is that it only allows one-way communication. 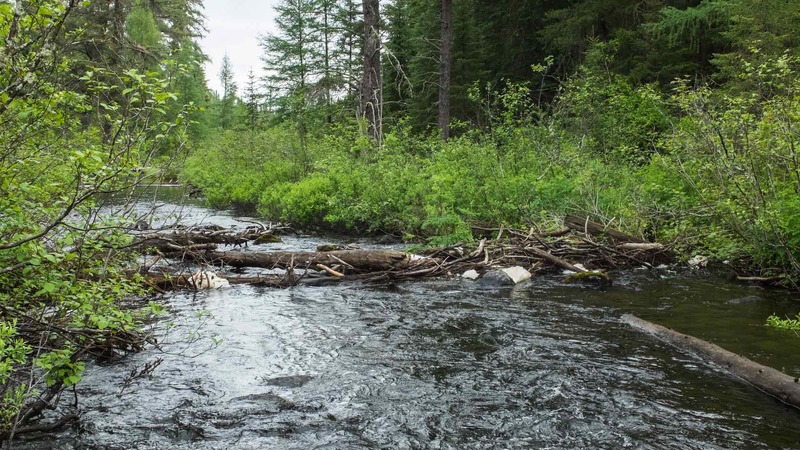 However, it represents a major improvement over the way it used to be on our canoe trips when we would be out of touch for two or three weeks at a time. We have used our Spot since 2011 on all our canoe trips. We’ve appreciated it for what it does – i.e., add an extra element of safety and contact. We dried the Spot Connect and tried new batteries but still no green On light. I would then use the battery-powered blower I use for my Thermarest to blow air at it in hopes of getting rid of any residual moisture but we were having no luck. Later it came into the sleeping bag with me in hopes that whatever heat I was generating might help. Supper done we sat on the banks of the river on a flat stretch of rock and looked down to what looked like more of the same the first thing the next morning – another logjam blocking the river. 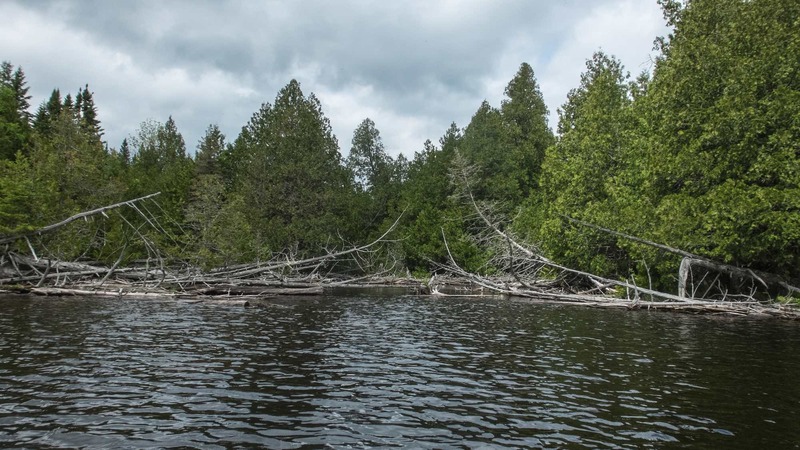 We realized that our plan to be on Little Missinaibi Lake by the end of Day 3 may have been overly optimistic given the state of the river. 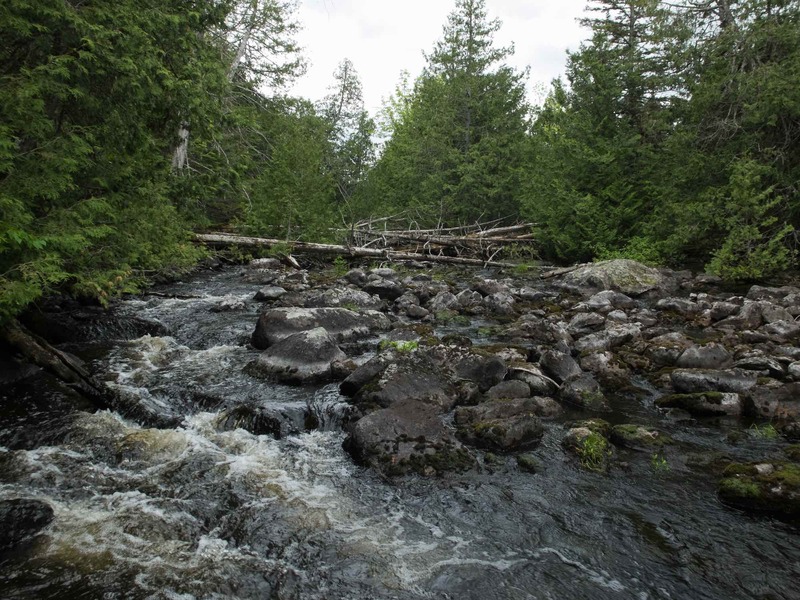 Looking down the Little Missinaibi from our campsite – more work ahead! The photo below was taken at 9 p.m. and it would lead to a glorious golden glow of the setting sun. However, as we looked west at the opposite bank and towards the logging road which was about 400 meters further in, we heard three gunshots. As well, someone shouted what we assumed was someone’s name. And the gunshots? I figured (wrongly I would soon learn!) that it could be locals from one of the nearby communities. 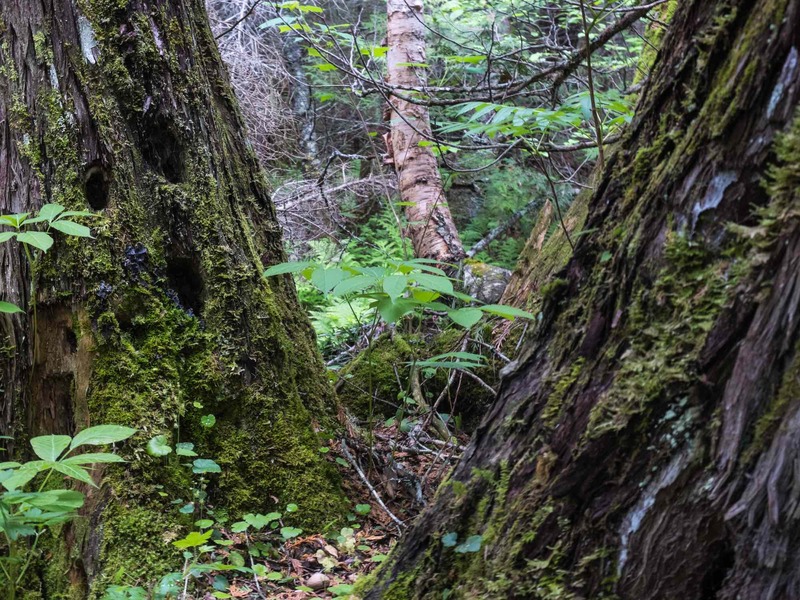 They were probably driving along the logging road at dusk and had picked off a moose as he walked along the road. We did not respond. On our return, we would be reminded that three guns shots (or blows of a whistle or flashes of light) in rapid succession is the international signal for distress and requires a response. We had not made the connection! How were the folks back home dealing with the lack of tracks or email since our Spot device went dead around 4:30 or 5 p.m. We hoped they weren’t worrying. 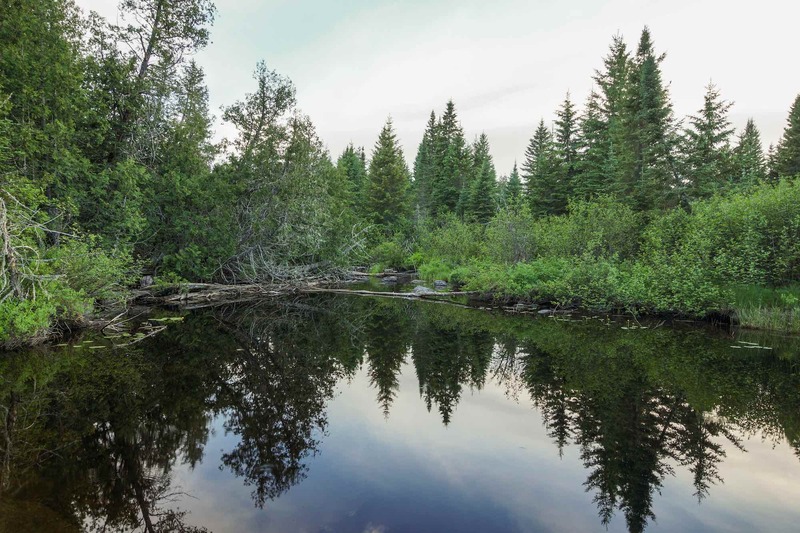 How bad would the upcoming stretch of river before Lookout Bay on Little Missinaibi Lake be? We did fire up our iPhones to see if service was possible but we were definitely off the grid! 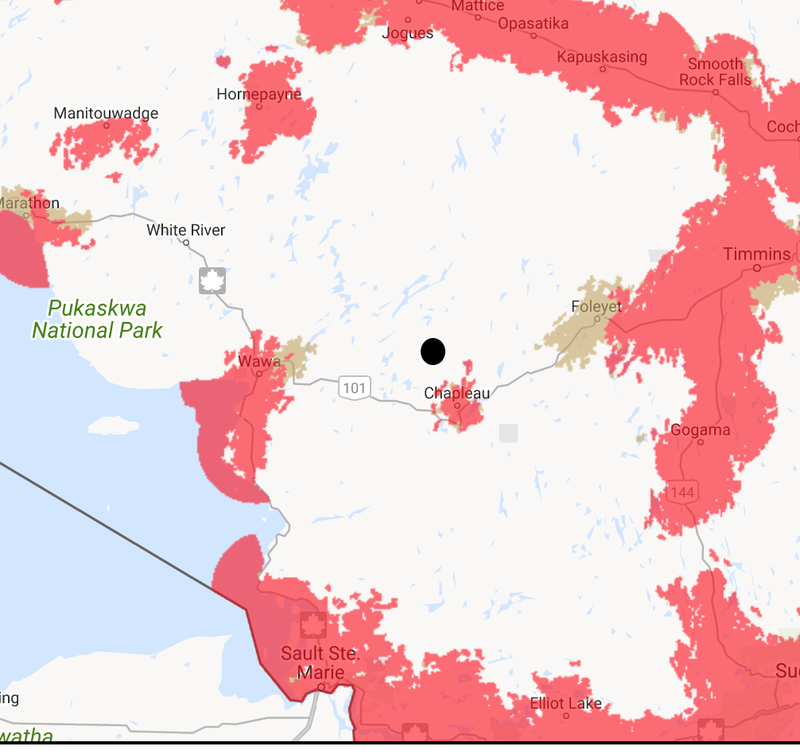 The map below shows Bell’s cell phone coverage area; while Chapleau was close it was not close enough! At about 2:30 a.m. we heard the sound of a helicopter. It came and went – and then came back again. It seemed to be circling over the area where we were. We eventually clued into the notion that the helicopter was looking for someone – and that someone was us! We still had no idea why. Somehow our Spot Connect device initiated an SOS call. We had not pressed the SOS button! All we knew was that our Spot Connect had gotten wet and seemed to be dead. At about 5 p.m. an SOS signal from our device was received by GEOS, a Houston, Texas-based company that operates a worldwide emergency response center. 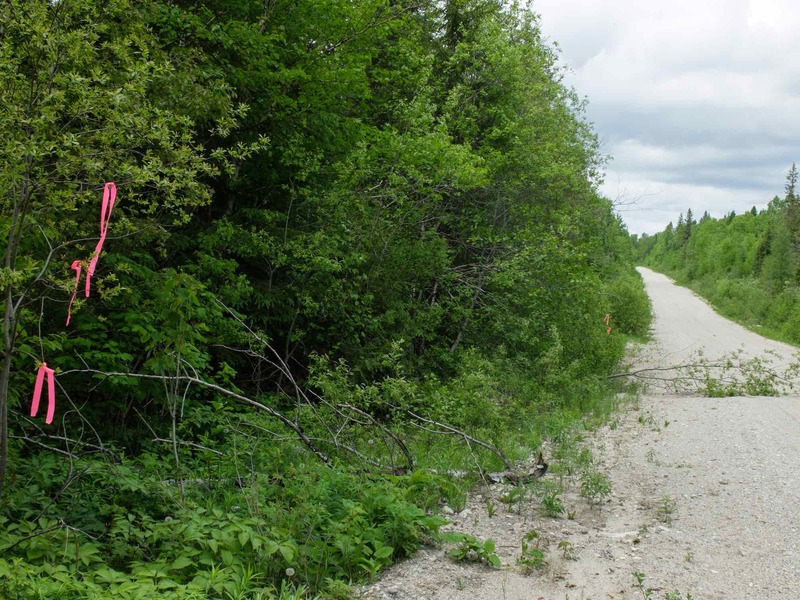 It then relayed the GPS coordinates attached to that SOS call to the Ontario Provincial Police and soon the Chapleau detachment had a mission on their hands – get close to the spot where the SOS signal had come from and find the people who had prompted it. This would explain the gunshots a few hours later. Unfortunately, we did not know that we were in trouble and that the quick three-gun shots were meant as a distress/help signal. And that would also explain the SAR helicopter. 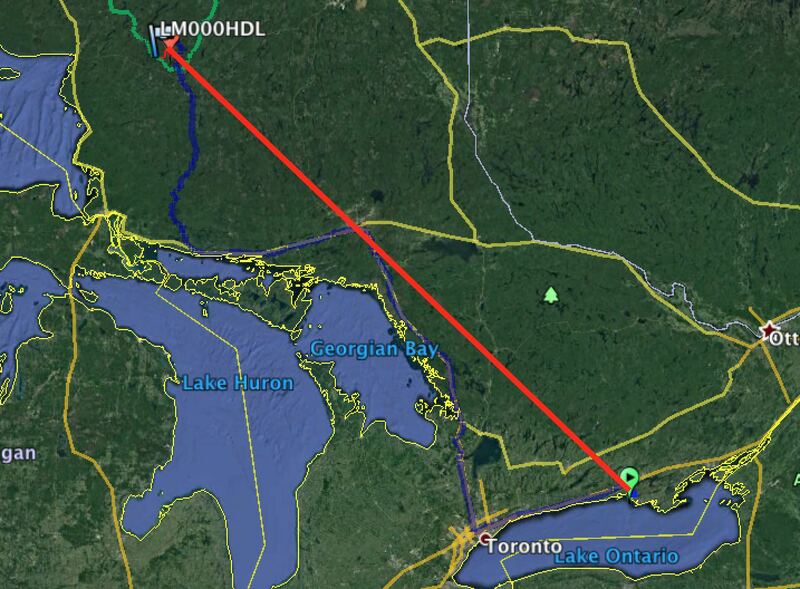 It was 650 kilometers as the helicopter flies from CFB Trenton to our Day Two tent site on the Little Missinaibi River. 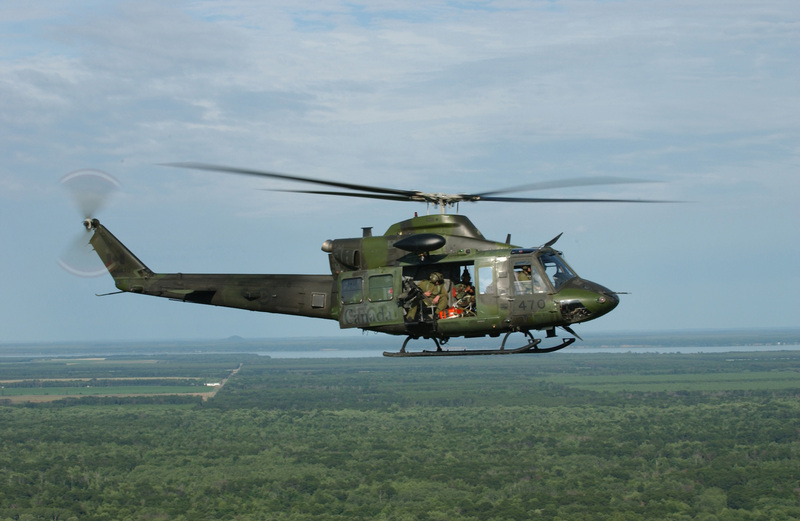 After the OPP searchers came up empty, they contacted the SAR Center at CFB Trenton and by midnight there was a Hercules transport plane on its way to Chapleau with a helicopter inside. At 2 a.m. or 2:30 I was standing barefoot outside our tent in my undershorts and a t-shirt, waving my headlamp around to show our location. It would take a few minutes before one – and then soon after – a second SAR Tech rappelled down to a location near our tent. It did not seem real. The sound of the helicopter above had me thinking I was in a scene from the movie Apocalypse Now. “Are you alright?” the tech asked. And soon they were gone and we were left with all sorts of emotions pulling us in different directions. We could just imagine the emotional ride our wives were on once GEOS had informed them nine hours before. And then their contact with the OPP and the news that no one could be found at the SOS site and that a SAR team would be sent from Trenton. Yikes! The incident would cast a cloud over the rest of our canoe trip. CH-146 Griffon helicopter possibly like the one over our tent spot at 2:30 a.m.
On the plus side we knew that at least now the folks at home would know that we were okay. 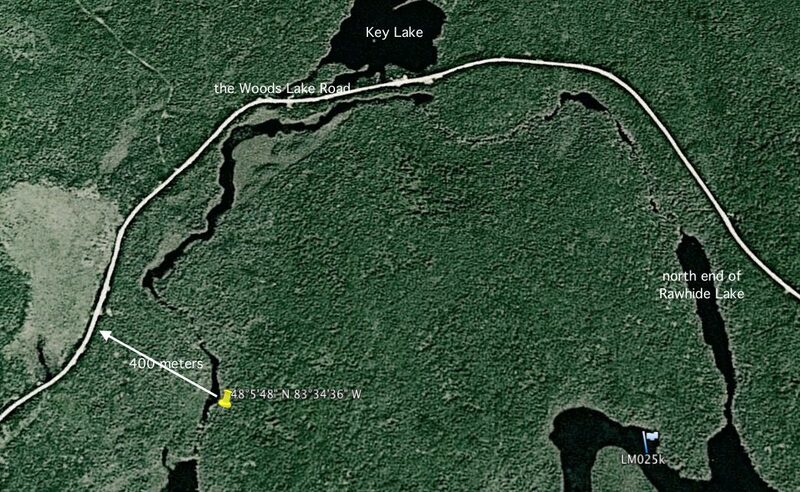 Three days later, on passing the Air Dale fishing outpost on the north end of Little Missinaibi Lake, we did ask the fishing party there to relay a message on their satellite phone to our wives, leaving $10. to pay for the call. Apparently, their sat phone could only communicate with headquarters in Wawa. However, when they phoned Wawa and gave them our message to relay it seems that the sat connection was so poor that the message did not get through. I’m not sure why a second attempt wasn’t made. In any case – no message back home from the fishing outpost! When I emailed the Air Dale folks a few weeks later they suggested that our gear list should have included a GPS tracker/communicator!